iPad 2 Launch: Should You Buy, Wait -- or Sell? With the arrival of Apple's iPad 2, it's time for some tough decisions. If you already own the first version of the iPad, should you upgrade now or wait until competing tablets--or perhaps even the iPad 3--arrive on the scene? If you decide to buy an iPad 2, what should you do with your old iPad? And if you're a seeking a deal on the first-generation iPad, where are the best places to find one on the cheap? The iPad 2, with its slimmer shape, dual cameras, and faster processor, certainly improvea on its predecessor, but its upgrades are more evolutionary than revolutionary. Apple's most rabid supporters will snap up the iPad 2 right away, of course, but is it smarter to wait? As PCWorld's Jared Newman points out, the new Motorola Xoom is one of several tablets that will offer 4G broadband connections later this year, whereas the iPad 2 is stuck at 3G speeds. If you're a speed demon who demands the latest and greatest, the iPad 2 won't cut it. And don't forget those persistent iPad 3 rumors, many of which anticipate that Apple's third-generation tablet will have a much higher-resolution display than its predecessors. Perhaps most vexing for potential upgraders is the buzz that Apple won't wait a full year to launch the iPad 3, but will instead ship a new slate this fall. Ugh! Why buy the iPad 2 when its replacement is right around the corner? Old iPad: Trash, Stash, or Cash? If you own an iPad but simply must have the iPad 2 right away, what should you do with your old slate? Macworld's Lex Friedman has a variety of helpful suggestions, including the hand-me-down approach: Give your old iPad to a friend, significant other, or third cousin who doesn't crave the latest-and-greatest tech. Alternatively, you could pass it along to a charity or school. 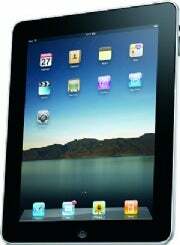 The debut of the iPad 2 means one thing to tech bargain-hunters: clearance prices on the original iPad. Where to shop? The Apple Store has knocked $100 off the price of the first-gen model. Shipping is free, and you'll get the standard iPad one-year warranty plus 90 days of free phone support. Apple's refurbished iPads are even cheaper. Example: $349 for a 16GB Wi-Fi model, or $50 off the reduced list price. Other buying options include Amazon's deals on new, refurbished, or used iPads, and eBay's listing page of Apple slates for sale. Craigslist fans will find plenty of used iPads for sale in their local communities, as well--but as with all Craigslist offerings, buyer beware! Tip: Avoid Craiglisters hawking both used iPads and outcall massage. Something isn't right there. Thinking of buying the original iPad on the cheap? Here's where the best deals are. If you're not too wooed by the iPad 2, the iPad 1 just went on sale. How to dump your old iPad so you have some extra iPad money for the iPad 2.